The death of Venezuelan president Hugo Chavez has raised questions about the country’s future relationship with China, with commentators arguing the days of preferential exploration rights for Chinese firms and guaranteed oil flows might be over. Sino-Venezuelan relations flourished under Chavez, who died last month, with annual trade volumes skyrocketing from US$200 million in 1999 to US$18 billion in 2011. Since 2008, the Chinese Development Bank has lent Venezuela US$42.5 billion, which has been used to fund Chavez’s ambitious social programmes. In return, China has received a guaranteed flow of crude oil, which partly acts as interest payments on the loans. More recently, Chinese companies have also been gifted lucrative mining contracts. 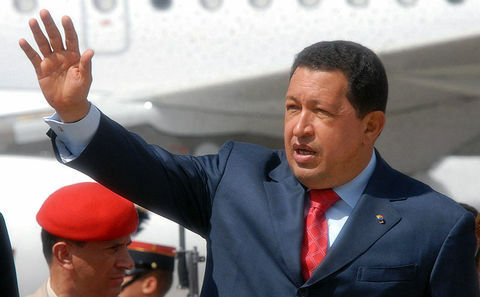 The relationship flourished partly because of the power structures in Chavez’s autocratic state. The late president had a tight control over the state oil company, and was able to ensure Chinese firms seeking to exploit Venezuelan minerals were awarded the contracts they desired. But even before Chavez’s death, questions were being raised in Venezuela and the Latin American press more widely about some of the deals agreed between Chavez and Chinese officials and companies. Just two days before Chavez’s death, Humberto Marquez wrote in Nicaraguan magazine Confidencial about a deal with Chinese investment firm CITIC for the rights to map Venezuela’s mineral resources. “The mining map that they will produce will allow for the exploration, certification and quantifying of the country’s mineral resources,” Marquez quoted minister of oil and mining Rafel Ramirez as saying. Although the terms of the agreement signed on September 21, 2012, between Chavez and the president of CITIC Group Chang Zhenming are not publicly known, they have been questioned by Américo De Grazia, member of the opposition party Causa Radical in the Energy and Mining Commission of the National Legislative Assembly. “Parliament must have more control over this operation, about which it was not consulted, due to the scale of the project and because it raises constitutional questions about the sovereignty of mineral resources,” said de Grazia, a representative of the mining districts of the south-east frontier zone with Brazil and Guyana. Domestic commentators have also argued that, regardless of who wins the election, a change in the nature of the relationship with China is inevitable as no successor could match the level of power the late president exercised within the Venezuelan political system. “China had enormous advantages with Venezuela when Chavez was alive, as they only had to negotiate with one person,” said Francisco Nieto Guerrero, director of the Global Network for Governance of the Future, Georgetown University.